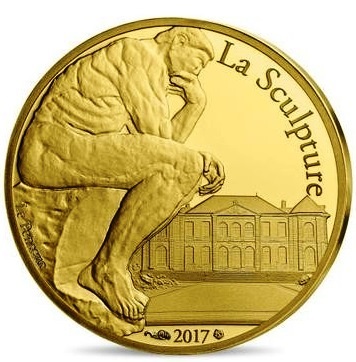 The Monnaie de Paris has released new coins which are part of their ongoing series entitled “The 7 Arts.” The series focuses on various disciplines in the art world, including: architecture, sculpture, painting, music, poetry, dance, and performance arts such as acting. 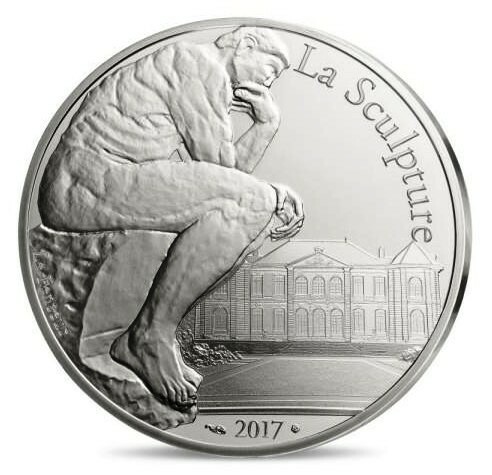 The series commenced in 2013 with the first set of coins dedicated to dance and featured the extraordinary talents of renowned ballet dancer Rudolf Nureyev, as well as the architectural masterpiece of the Opéra Garnier. 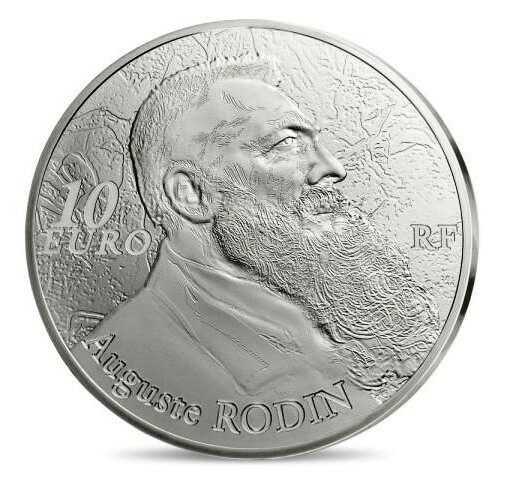 The coins in the set share the same obverse and reverse designs, which include 50-euro gold and 10-euro silver pieces that are designed by famed fashion creator Christian Lacroix, artistic adviser to the Monnaie de Paris since 2010. 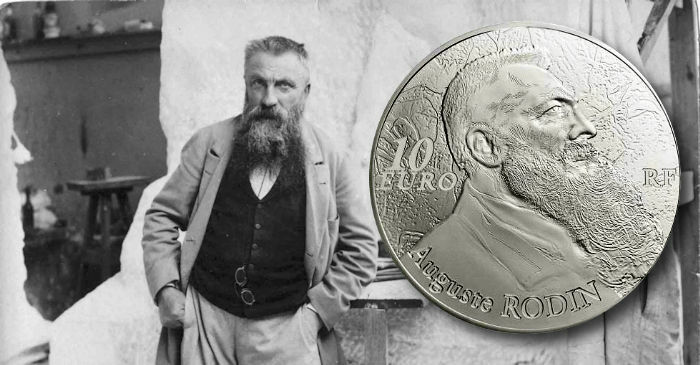 The obverse includes a representation of ”The Thinker,” the masterpiece for which Auguste Rodin is most remembered for. In the background is a depiction of the Biron hostel, where the Rodin Museum is located. It is surrounded by the inscription La Sculpture, evoking one of the seven arts honoured. 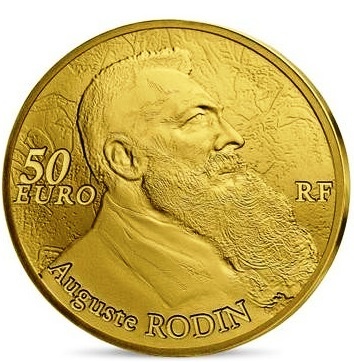 The reverse of the coin bears a portrait of Auguste Rodin with the face value and his name. The background is a stone-like surface, representing the feel of stone or rough marble. Both coins come as separate purchases and are presented in custom cases with a certificate of authenticity. The very popular series, which began in 2013, will conclude in 2019. For additional information on these and other coins released by the Monnaie de Paris, please visit their website.